Window sills and balconies make excellent locations for a wide range of container gown plants. They may be in an open position, catching more light than at ground level, where they will also escape the worst frost. If the situation is very open, however planting part way up a building may be exposed to wind which can strain plant stems and dry the soil out quickly. Low growing shrub like potted plants are better suitable. Regular maintenance is straightforward, provided windows give adequate access by tilting, or moving up and down. You can suspend a window box type planter below the window so you can open it up to water and tend to the plant materials. Hanging pots work good also if you can reach them when opening the window. 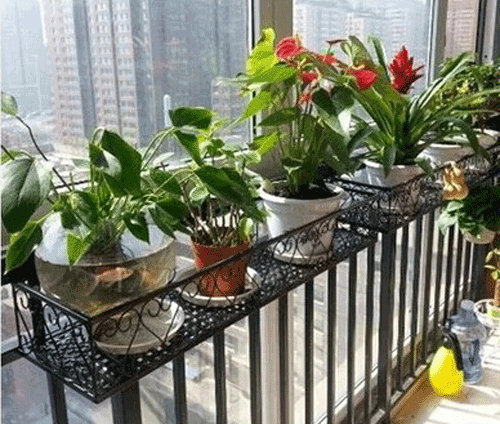 Both windowsill and balcony areas are limited in size and narrow containers ten to work very well here. If there is more room than a larger container can work when placed in a corner. 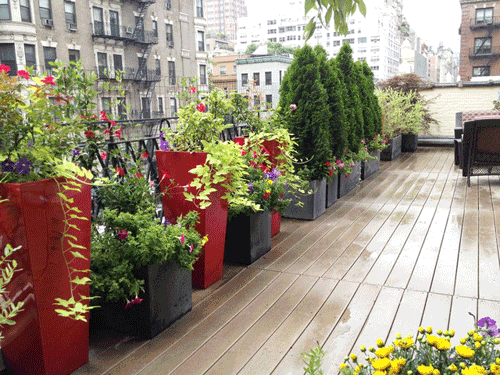 A balcony can't easy be accessed so you want to make sure that you are using durable containers. Pot like poly resin, concrete and metal are all long lasting and won't have to be replaced for a number of years. On a balcony you must be careful of the weight of the pot once filled with soil. Some veggies planted can act like a wind breaker if necessary. You can also grow radishes, spring onions and other shallow root plants. On a windowsill you want to make sure to use some flowering plants so that you get the color from the inside when looking out. This is the time to create an eye catching display. Of course you can always plant evergreen shrubs that stay green all year long but try to keep them container by pruning. Don't let them over grow or the weight may be to much. If the area gets a lot of sun light or mostly shade you need to take that into consideration. Try to put the kinds of plant materials that fit that amount of sunlight. We love to see herbs growing outside a kitchen window, bulbs outside a breakfast nook and lush green plants outside a living room window or on the front of the house. Use trailing ivy when you have the room for it. It's light weight and really adds a lot of interest to any display. 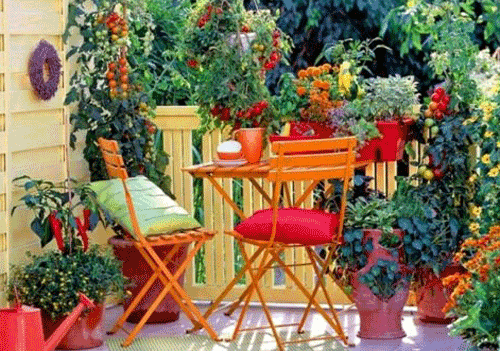 Don't let the fact that you only have a balcony stop you from creating a small garden, or fragrant floral arrangement. There are plenty of plant materials and pottery choices to make any situation work perfectly.